Golden Piano Tuning tunes pianos in the Westerville, Ohio area. Piano tuner Bill Golden makes his home in Westerville and loves the community and people. 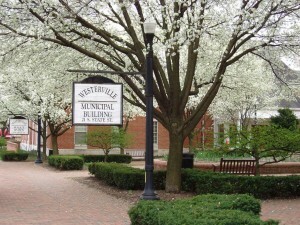 Westerville is a growing community of more than 36,000 and is located in both Franklin and Delaware counties. Although the land was first settled in 1810, it was not until 1818 that the Dutch-origin Westervelt family arrived from New York. After donating money to build the Methodist church, the community was names in their honor. The main music store in Westerville is Colonial Music (merged with Music & Arts), located at 43 North State St, Westerville Ohio 43081 (614) 891-9008. You will find that, throughout Central Ohio, Music & Arts has identified with many local music stores. For piano lessons in Westerville, an option is the Sounds Education Center, located at 275 A Old County Line Road, Westerville Ohio 43081 (614) 891-9695. Bill Golden, Piano Tuner, is an aural tuner (as in, tunes by ear) offering piano tuning services throughout Hilliard, Ohio and other Central Ohio areas. Bill has been a piano tuner for more than 30 years, learning the trade from his piano tuner uncle, Nolen B. Golden, Dayton, Ohio way back in 1979. Bill is also an associate member of the Piano Technicians Guild, Columbus chapter.